Protect your business. 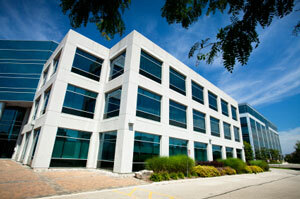 Mold can cause significant financial problems when it is found in commercial buildings. It is a simple reality that mold is always present, both indoors and outdoors. Commercial buildings face a challenge in identifying and treating mold issues without losing productivity due to a long closing of the building. Mold Solutions by Cowleys can solve commercial mold problems with our complete mold remediation process. Our mold treatment system is fast, effective, and non-invasive, and it will ensure that your commercial building is safe, clean, and healthy. If you need commercial mold treatment services in Central NJ and throughout the surrounding areas, call us today or click below to get a free estimate! Building strategies have changed over the last 30 years with the goal of creating structures that are "airtight". Unfortunately, these airtight structures are a major reason that mold has become much more frequent in commercial and public buildings. Airtight buildings are designed to improve energy efficiency. However, an unintended side effect of these structures is that there is no exchange of fresh air with the outdoors. This lack of fresh air allows moisture to build up, which can create mold. Traditional building materials like wood, drywall, and fiberglass insulation are all common breeding grounds for mold when exposed to moisture. Of course, mold can appear in buildings of any age and is often due to high humidity, leaking plumbing or roofs, or events such as storms and flooding. Mold can grow within just 24 to 48 hours, which is why it is essential to dry water-damaged areas and items immediately to prevent mold growth. Mold Solutions by Cowleys' mold treatment process is the most effective option for commercial buildings, especially when a large area is affected. Our system involves a water intrusion inspection, the application of a powerful antimicrobial followed by a polymer sealant, and installation of a dehumidification system. By addressing the source of the problem and eliminating while simultaneously applying preventative measures, we ensure that the affected area is clean and will remain that way. If you need to treat for mold in your commercial building, call Mold Solutions by Cowleys today to get started with a free estimate. We proudly serve in Woodbridge, Toms River, Cherry Hill, Old Bridge, Bridgewater, Princeton Junction, Lakewood, Piscataway, New Brunswick, Middletown and throughout the surrounding areas.